When your store or building has higher ceilings (8+ feet), how do you safely hang signs (such as retail signs) without endangering your employees or customers? Do you risk letting a member of your staff balance on a ladder? Maybe you decide to shut down part of your store when using a scissor lift? Forget all of that! 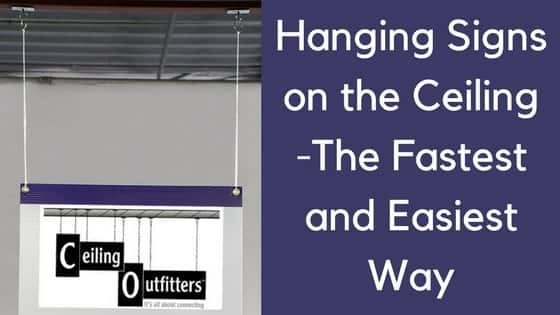 Here’s 4 easy steps to hang level signs from the ceiling safely, quickly, and easily. 1. Avoid ladders and lifting devices with an installation extension pole. Telescoping installation poles (that extend) are not only safer for your employees, but they also allow you to change retail signs more often with a quick installation process. Ceiling Outfitters offers one of the easiest-to-use installation poles called the MagPole™, which can reach ceilings up to 27 feet tall (for ceilings taller than 27 ft, use this). With an extending/telescoping sign installation pole, you’ll never have to use a ladder again! 2. Choose a sign hanging system. 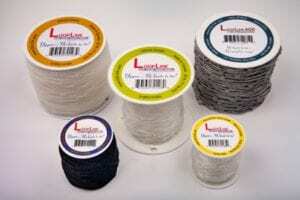 There is a variety of hanging systems to choose from. 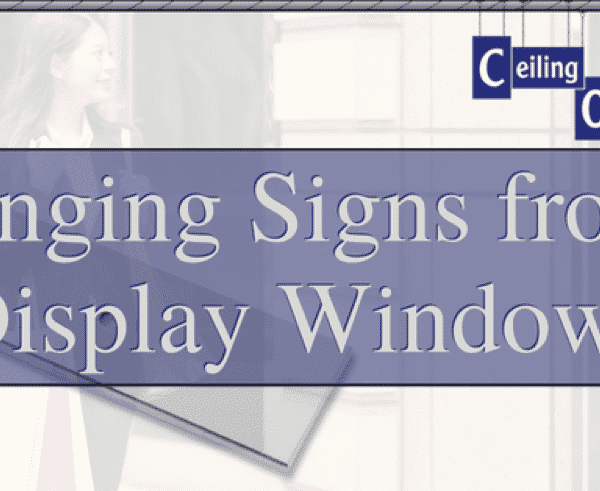 Choosing the right sign hanging system will depend entirely on your ceiling. 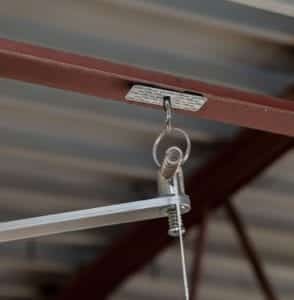 Ceiling clips are common but may be difficult to install from 27 feet below. If you have metal on your ceilings and they’re less than 27 feet high, the best option would be to use a magnetic sign hanging system (such as the Clik-Clik™ System). If your ceilings are higher than 27 feet, you’ll want to use this “FlatHat” system. Powerful ceiling magnets connect to any metal surface (including painted metal surfaces) and have clips for attaching the sign or banner. These magnets are small but mighty! The variety of ClikMagnets can easily hang heavy signs. 3. Select a pole attachment that allows you to quickly attach and detach your sign. Your installation pole attachment will depend on the kind of attachment system you are using. 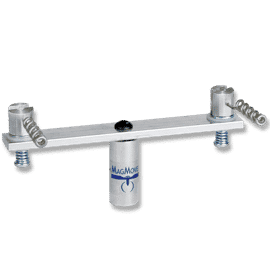 If you decide to use a magnetic system, Ceiling Outfitters offers the MagMover pole-head attachment. The MagMover is used to attach and detach the sign from the pole/beam. The magnets attach automatically to any metal surface and the corkscrew attachment allows you to remove the magnets with ease. 4. 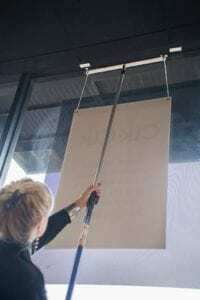 Attach your sign to your hanging system and ensure the sign will hang evenly. Nothing is more frustrating than hanging your sign, stepping back, and seeing that it is lop-sided. Tying knots in the string/line isn’t reliable because it’s nearly impossible to make two knots the exact same size at the exact right length every time so that the sign hangs evenly. We’ve developed a special kind of line specifically for hanging signs evenly from ceilings without needing to go through the process of measuring out the line and tying the knots! LoopLine is patented with continuous 2-inch repeating loops that allow you to quickly hang your sign (see how this works). Just like that, your sign can be hung quickly, safely, and evenly! 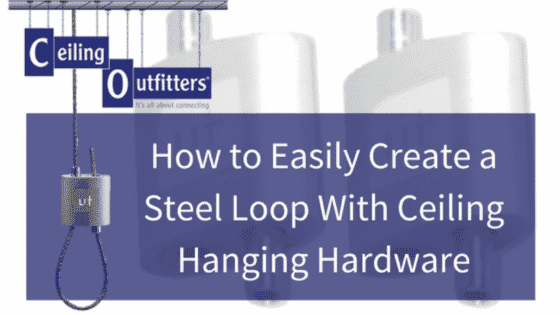 Get everything you need from these 4 steps in a ceiling sign hanging starter kit from Ceiling Outfitters. 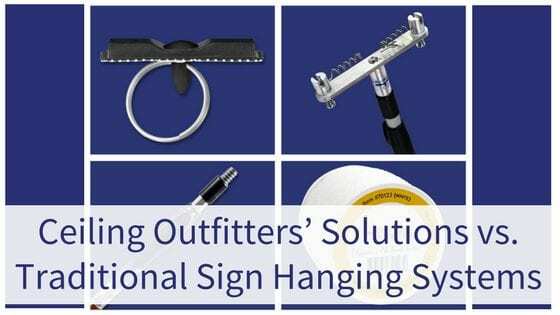 Ceiling Outfitters is a visual merchandising and ceiling display solutions provider that has created a variety of packages to make hanging signs from the ceiling easy! Since 2007, Ceiling Outfitters has partnered with over 2,000 national organizations including 22,000 retail store, manufacturing, education, and hospitality locations. Ceiling space and storefront windows are optimal visual display locations and we help customers utilize these areas safely, quickly, easily, and more economically. 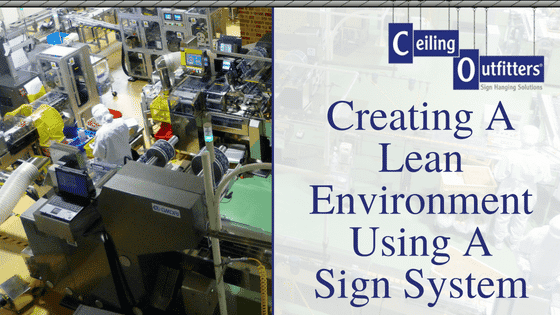 We are the master distributor of the Clik-Clik™ family of products, the premier magnetic hanging system that transforms the ceiling eco-system into a workable location for strategic placement of ceiling signs and displays while allowing employees to suspend items without a ladder or lifting device.